September | 2014 | Where is Yvette? “Just think of it like a really long roller coaster,” I advised. 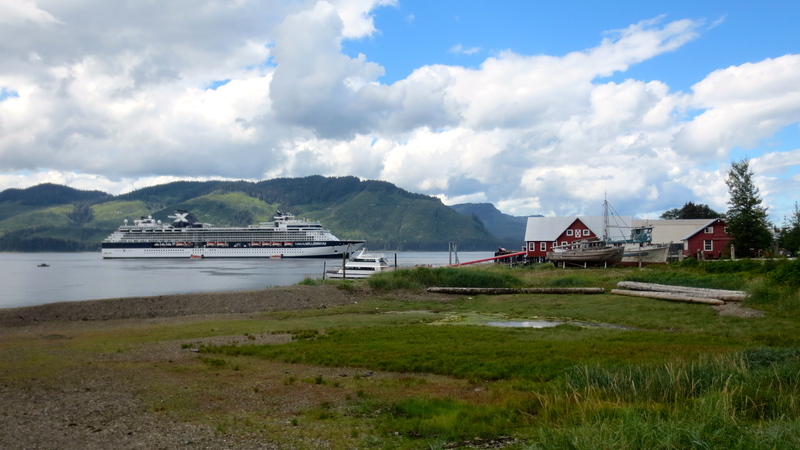 My parents and I were spending the day at Icy Strait Point near the tiny town of Hoonah, Alaska. It’s a privately owned place and run by native Tlingits in an old cannery area converted for tourism. 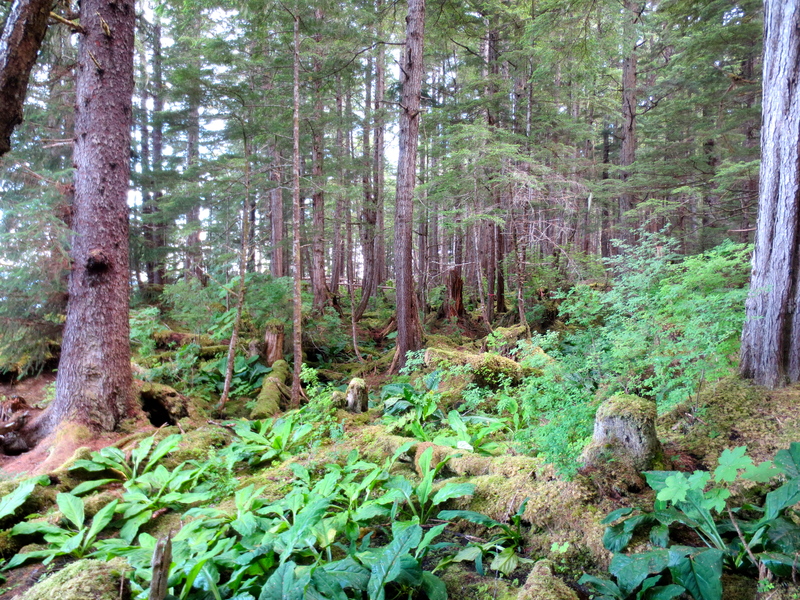 There isn’t much to Icy Strait Point (or Hoonah for that matter) except the world’s longest zip-line which towers from the mountain above town. Now I suspect anyone who’s read this blog over the years knows what happened next, because I am not a woman who can turn down something like a zip-line that is over a mile long (officially it’s 5,330 feet, with a 1,300 foot vertical drop). But I suppose after years of reading of his daughter’s exploits in various corners my dad felt the urge to join in too, and my mother decided to establish which side of the family the adrenaline junkie stuff comes from by staying at the bottom. And hey, on the scale of adrenaline-y things to do, it turns out this zip-line isn’t too hard- not like you need to jump into the abyss yourself. But that didn’t mean my father wasn’t going to have to endure some cheery speculation on maintenance standards in the Alaskan wilderness and the like on the ride up in a refurbished school bus from his daughter. But anyway, the ride up takes about 45 minutes, and the ride down takes about 90 seconds. And if a picture is worth a thousand words than who knows what a video makes, so here’s the entire experience! Altogether not a bad experience at all! And then we spent the rest of the day wandering around a bit. 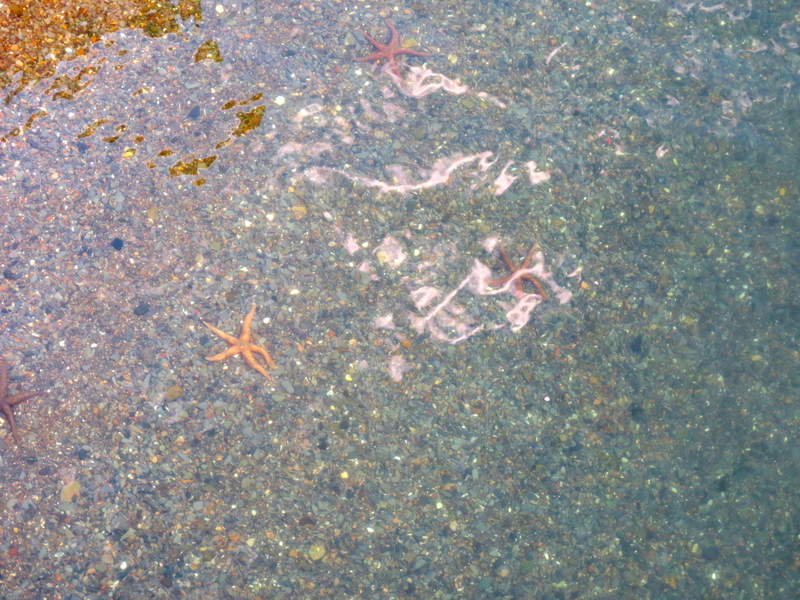 It’s certainly a nice corner of the world when you have sunshine to enjoy and sea stars to spot in the water.